Mark your calendar for a musical event like no other—monsters making music!. Non stop musical for the whole family. 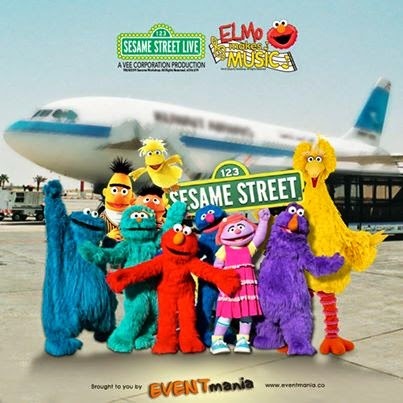 Elmo, Abby Cadabby, Big Bird and all their Sesame Street friends are taking to the stage to share their love of music in Sesame Street Live “Elmo Makes Music” at Ice Skating Rink. Like television's Sesame Street live production features timeless lessons for all ages. Through the razzle-dazzle of this musical Broadway quality musical production, children learn about patience, acceptance and teamwork. Adults will appreciate the high tech stage craft, cleverly written scripts and music, they'll enjoy sharing with children. Info via Event Mania website.